The Battlefield Line in Leicestershire is billed as the counties “Best kept secret”, I am not sure about that description but we had a very good day there! 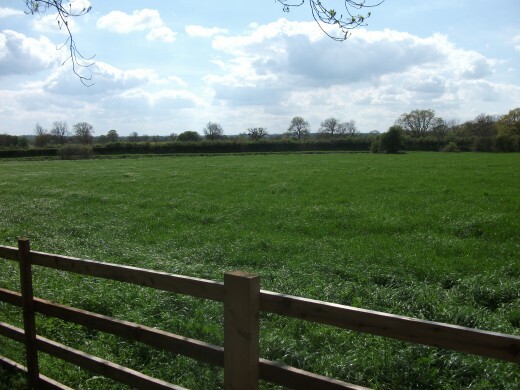 The railway line runs from Shackerstone in the North , through Market Bosworth and on to Shenton. It is not a long line but the trip is quite memorable. We joined the train at the midpoint of the line at Market Bosworth station. There is free parking at the station and a short walk to the platform. The ticket booth doubles as a café and we soon sat waiting for out train with our pot of tea. The train arrived before we were ready and they held it whilst our hot drinks were transferred from china to thermal cups! We caught the train up the line to Shackerstone station; passing sidings full of rail trucks and carriages- all requiring renovation. The carriage we were in was comfortable and clean so they must take renovation seriously. The line operates both steam and diesel trains but we had visited on a day where the diesel train was given an outing. 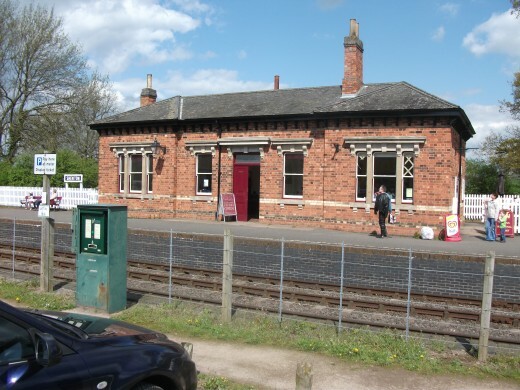 The Station house at Shackerstone was a mine of history- from the original ticket hall to the tiny museum with a distinct whiff of a paraffin heater- giving that really pre war feeling. There were lots of posters on the wall, one of them showed a group of Ladies bathing in Cornwall in February with the advertising saying that it was warm enough to bathe there. I guess 100 years ago there were no laws against not telling the truth in advertising! 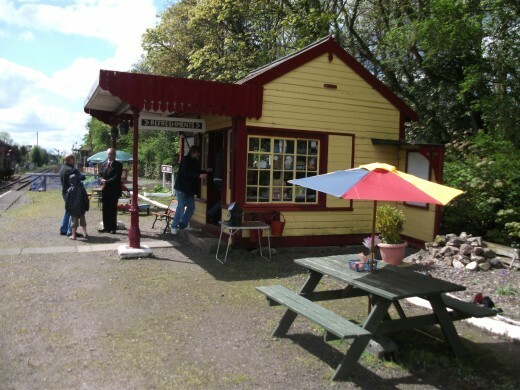 Also at the station house were the Victorian tea rooms which served the normal beverages and a selection of hot and cold meals and snacks. A day trip from Market Bosworth? If you have children with you then a trip to the gift shop will not go amiss with lots of railway themed good on display costing from pence to pounds! 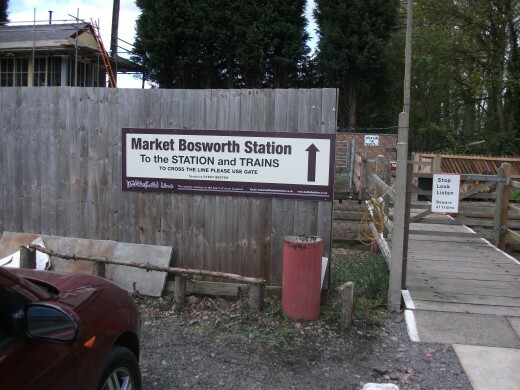 We got back on the train and headed towards Market Bosworth where according to the company’s information, the station is still being developed. 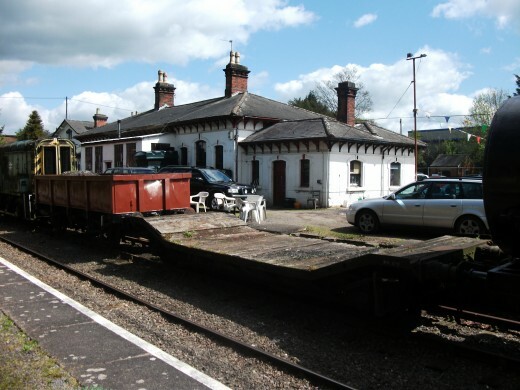 The original station house seems to be occupied by a firm of motor/agricultural merchants so the Battefield Line society are building a new station on the opposite platform. As you pass down the line you follow the route of the Ashby Canal and we had the strange view of a field with what appeared to be a narrow boat passing through it- we could see the boat but not the canal. When you arrive at Shenton Station you are at the end of the line- literally, there is a big wooden stop! The station house looks as if it has been there for 100 years, so in keeping with the area but it looked vaguely familiar to my husband and I. 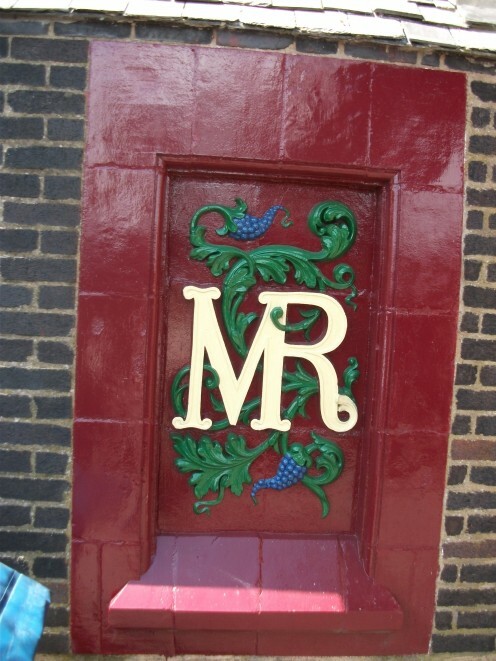 A display explained it to us; the station was built in Leicester, on Humberstone Road and in 1993 was dismantled brick by brick and brought to Shenton where it was painstakingly rebuilt. The only large part of the construction that was fully renewed was the roof timbers as the original timbers were totally rotten. In the station building was Richard Golding’s Glassmaking where we could watch him at work through the window and beautiful pieces of glass were on sale. Reaching the old railway bridge which crosses the Ashby Canal we turned left and walked towards Sutton Cheney. It was a lovely walk along the canal with the odd narrow boat moored up or navigating its way down the canal. We asked directions of a passing boat for the nearest coffee shop and were directed to the wharf at Sutton Cheney- Lunch directly by the canal was delicious. The walk back to the train seemed easier- perhaps because we were fortified with lunch as my husband dozed in the spring sun whilst I had another cup of tea. On boarding the train we found the bar and sat waiting for the train to move with a glass of beer in our hands- finishing it just before Market Bosworth. It was a really great day out and was so relaxing; it was just like a mini holiday- thanks to the Battlefield Line. The Line was part of the North London and Midland Railway; with the first trains running in 1873. 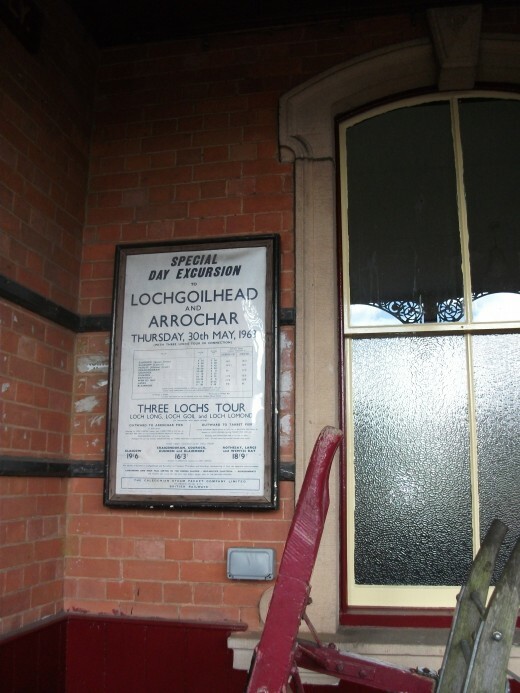 The train line was closed in 1964 after the Beeching reports were made. This resulted in a rationalisation of trains throughout the country as it was felt that less were needed because of the uptake in road transport- how shortsighted, now our roads and full of trucks and cars! Glad you didn't mind! I made a huge mistake on a grammar hub & thankfully someone picked me up on it - I'm supposed to be good at that. Yours was only a typo! Sorry to be picky, but 'el' or 'le'?!! It's so easy to do these things when you've seen it so often that it's all a blur - I know, I've done it a few times! Those sort of days are always great. Just noticed a very small typo in your title - missing first 'l' in Battlefield! Hope you don't mind me mentioning it. A train and a canal; how lovely! I'll certainly give this a visit if I'm up that way. There are a few lines like this near us in Somerset and in Bristol; my grandchildren love them and so do I. Interesting, well-written hub with plenty of information and great photos. The historic event you outlined is something I will need to look up and read about. It must have felt very somber for you, standing there where all those men had bravely stood. The rest of your day trip with your husband sounded really delightful and I felt like I took a wee trip myself while I read it. Thank you for your comment, James..... it was a lovely day out and my husband especially enjoyed his half pint in the buffet car! This sounds like a nice excursion. If I lived closer I would go this weekend. Thanks for the journey! I could imagine myself there! Thanks for inspiring me. Well I used to be a member of the Richard III Society and they used have a bus trip from London every year on the anniversary. We British seem to have very long memories and folk can still get very heated on Yorkist v Lancastrian lol! Sounds like a great day out Case1worker, with lots to see and do. I have always wanted to visit the Bosworth battlefield, so I really should pull my finger out and go there. Though I suspect that on that subject we may be rooting for different sides? Thanks for tall that encouraging information. It sounds like a great day out! 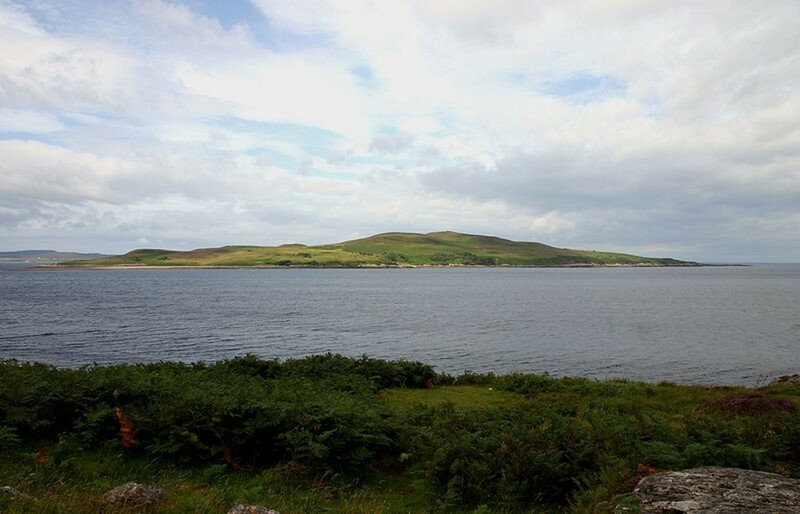 Jools99- Thanks for your visit- it really was a great day out- I can't describe the peace and happiness we found- it seems a bit trite to say it but it really restored our jaded batteries. Case1Worker, looks and sounds like a nice day out. I do quite like old battlefield sites. There are loads up in Northumberland, I would quite like to visit other parts of the country for sites and Bosworth Field would definitely be on my list. I also love travelling on trains so it all sounds great.